Everyone loves a Primark haul right?! Primark hauls are one of my favourite blog posts to do. I love hearing your views and I too am constantly reading all your haul posts. I’ve decided to do smaller hauls as and when I purchase items rather than saving them up to do a large one. Mainly because if you see something that I’ve bought and you love it, you can quickly go out and buy it rather than being disappointed that it’s sold out. I popped into my local store here in London over the weekend and I had the best experience mainly because there was hardly anyone in the store and wait for it.. I didn’t need to queue!!! To be fair when I was leaving the crowds were starting to build up. It really does make such a difference when you can browse in peace, all the table items are still folded and there’s no one in your way blocking your ability to grab your size. So my most favourite item that I picked up were of course floral plimsoles! 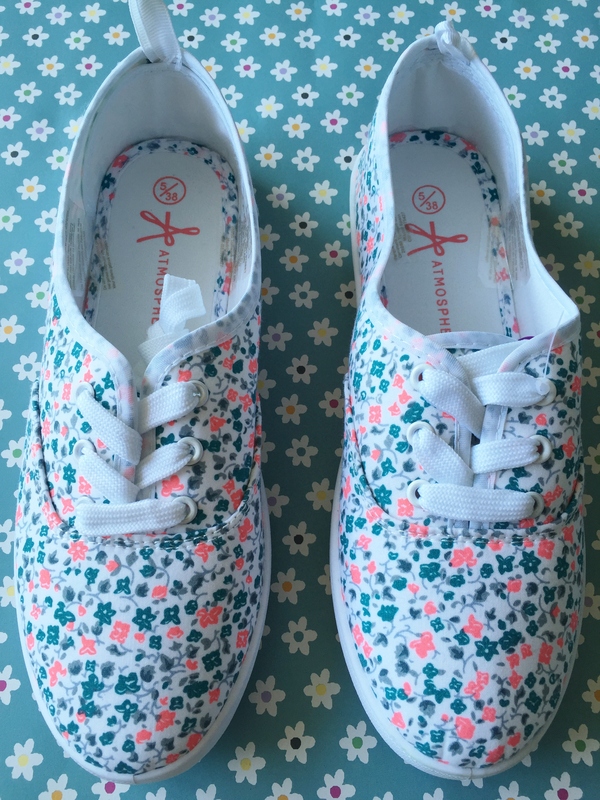 If you have been reading my posts then you’ll know that I absolutely love floral sneakers at the moment. These were such a bargain costing only £3. £3 for a pair of shoes I hear you cry!? They’re so comfy and scream Summer and vacations. I think that these will be perfect for wearing with shorts and skinny jeans. The pattern is so cute. This style of shoe comes in a variety of designs and plain colours. Next up is this floral vest. I think the one item that Primark can do no wrong with is their selection of vests. Whether its these ones with the shoe lace straps of the chunkier straps, there is such a wide variety of prints to choose from. 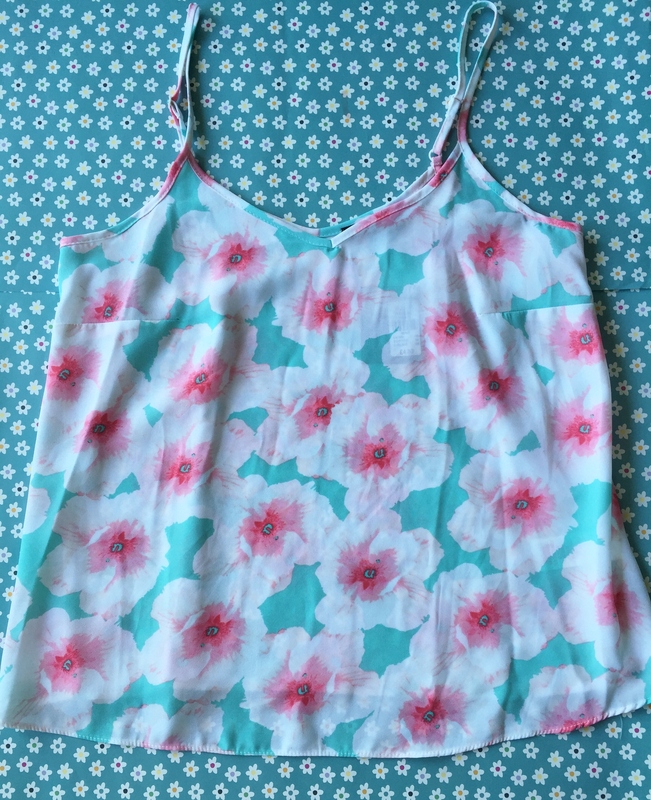 I opted for this floral print which looks so fresh and cooling. I love the combination of colours and I think I will wear this with some light shorts during the day time or team up with a denim shirt and skinnies in the evening when it gets a bit cooler. It’s light weight and rather floaty. This was £4. 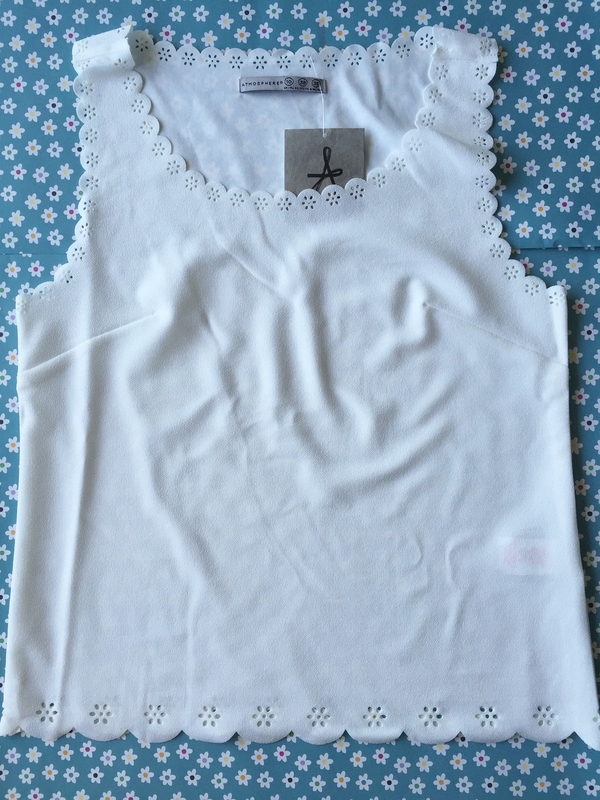 I picked up this ivory vest which has a laser floral cut design around the top and bottom. I’ve been in two minds about this one for ages but caved and bought it. The size is slightly small so if you want it to be looser fitting, then I would suggest going a size up. The fabric is really soft and stretchy. It sits well when it’s on, I guess the photo doesn’t do it too much justice. This was £5. You can never have too many shorts. These come in a variety of prints, they’re light weight cotton and have an elastic waist. I purchased these for my vacation so wanted something bold and bright. I love this print! 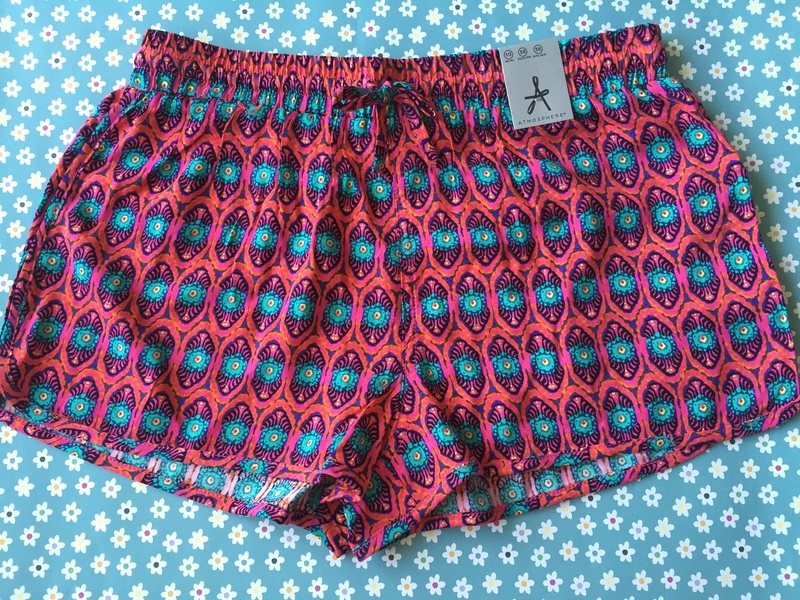 The good thing about these shorts is that when they are wet from being at the pool or beach, they dry pretty quickly and they keep their shape. Perfect for a two week vacation! These were £4. We’re going back to Mexico for our vacation and over there the heat is very humid and takes a while to dry your bikini/swim wear. I’ve therefore decided to take multiple bottoms which I can mix and match with the tops I have. I absolutely love the print on these. 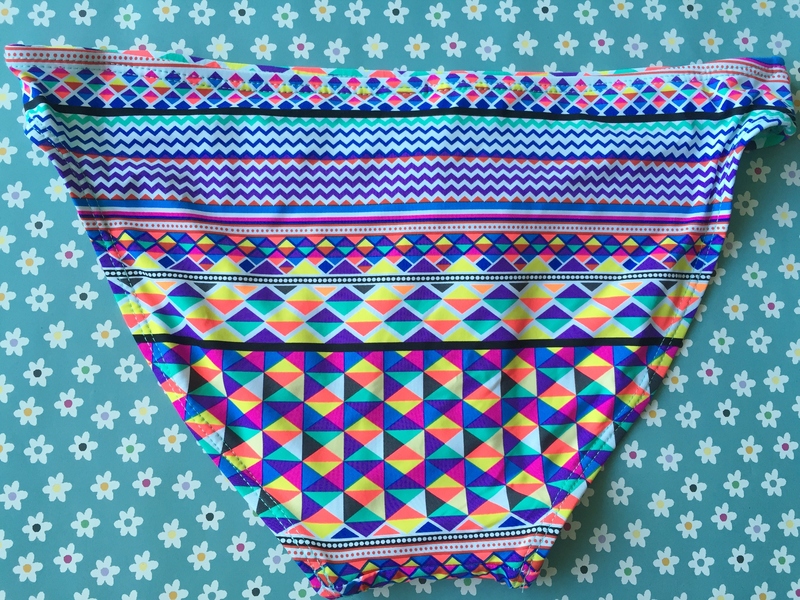 Primark bikini bottoms are true to size and fit very well. I prefer buying separates as then you know that both pieces will definitely fit. These were £5. 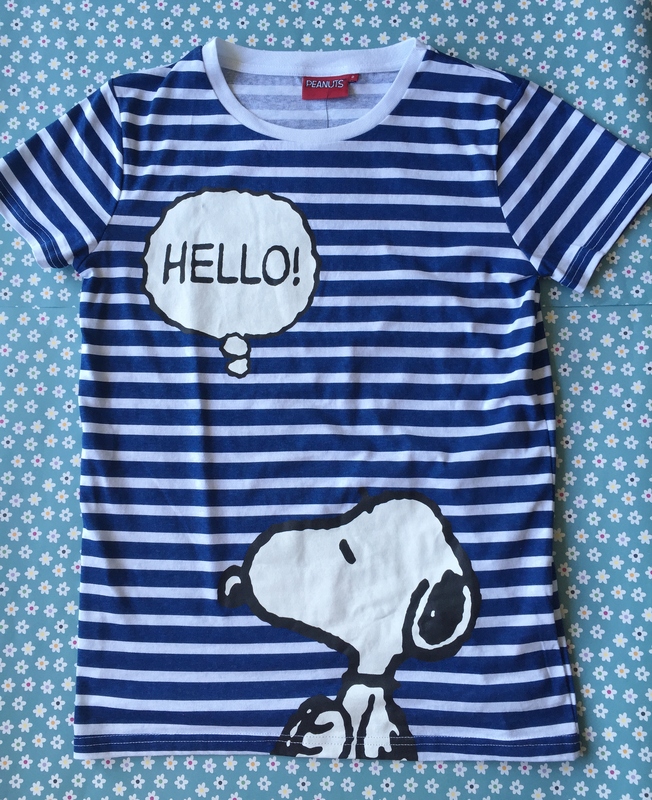 For a pyjama top or just for hanging about the apartment, I picked up this cute Snoopy T shirt. I love navy and white stripes so this one was always going to be a winner. It was £6. The T Shirts that are of a brand other than Primark, this one was Peanuts, fit really well and keep their shape/last for a very long time. Let me know whether you’ve been to Primark recently and picked up anything? I’d love to hear and see what you got. ahhh love primark stuff. my sister got a bunch of clothes from them when she did her language training in london. Super jealous! Scalloped detailing on that shirt is so adorable!